I was in the mood for chicken tenders, but couldn't bring myself to go to McDonald's. These were quick and easy. Salt and pepper the chicken. 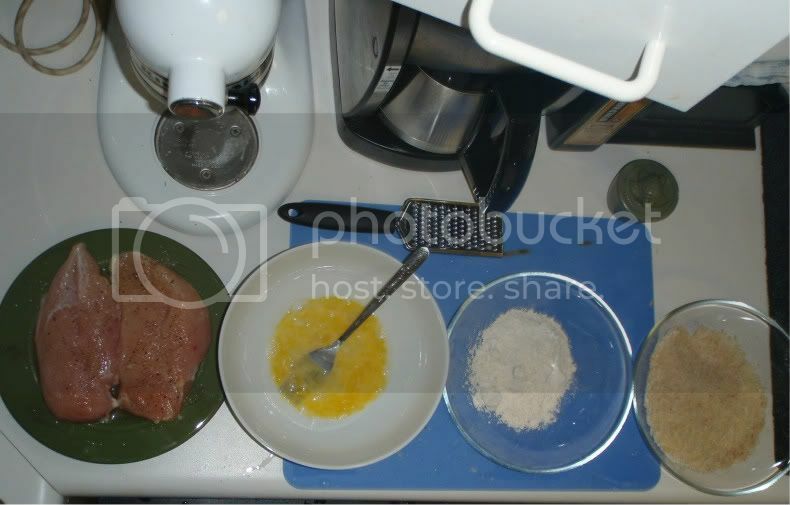 Dredge in flour, then in egg, then in bread crumbs. 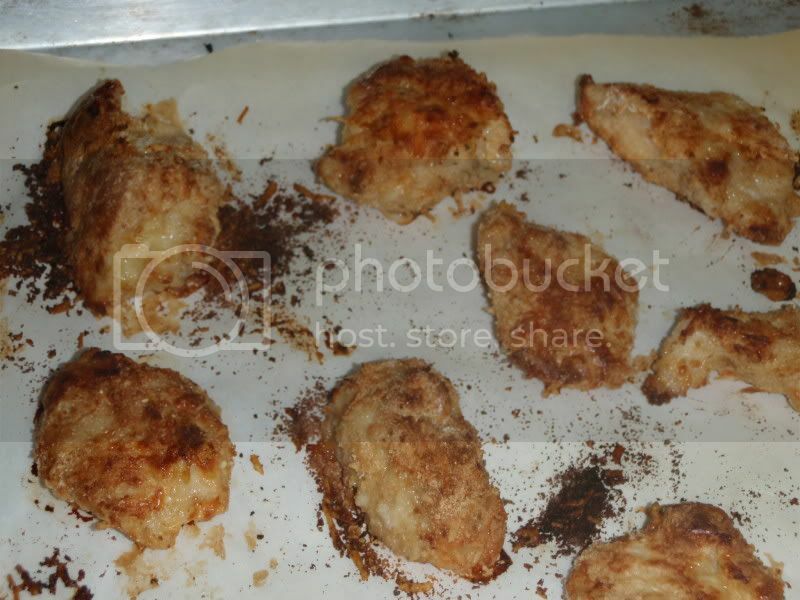 Bake on parchment paper or a well-greased cookie sheet at 425 degrees for 15 minutes or until chicken is cooked through. Served with your favorite barbeque sauce and side dish. 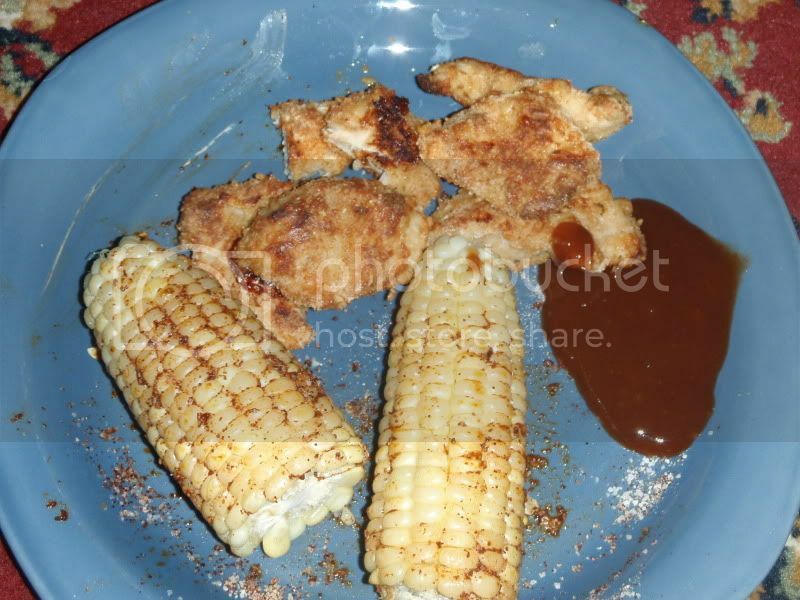 The corn above was steamed or boiled, then seasoned with chili powder, garlic powder, butter, and salt.